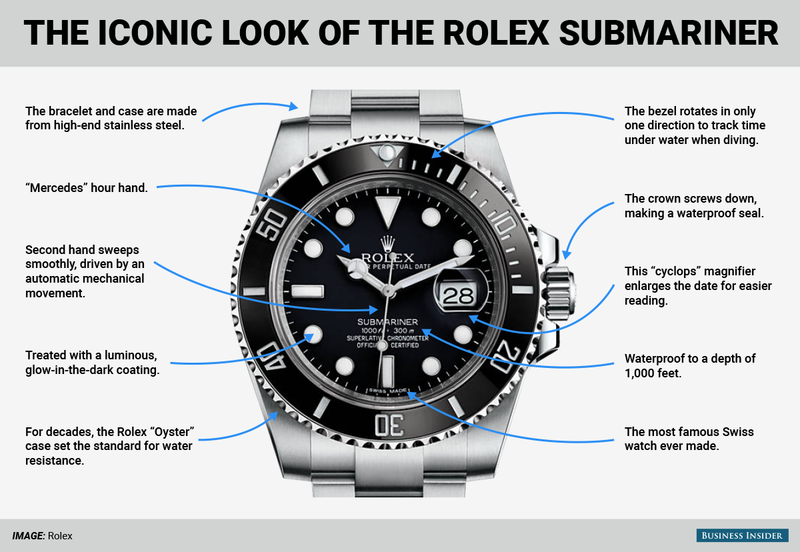 The Rolex Submariner might be the most famous watch in the world. Known officially as the “Rolex Oyster Perpetual Submariner,” it debuted in 1953 and has been continuously improved ever since. In the 1950s, you could get one for $150, but the watch now retails for around $8,500. Prior to switching to Omega, James Bond wore the Rolex Sub. The timepiece has adorned the wrists of countless adventurers, dignitaries, captains of industry, and even actual divers, for whom the watch was designed. It is perhaps the best example of a tough “tool” watch becoming a luxury icon. Its toolness has never been compromised, however. You could buy one today, wear it to work at the office all week and then beat the daylights out of it on the weekends and it wouldn’t complain. The Sub’s automatic movement isn’t as fancy as some other high-end watches, but it’s basically bulletproof. And Sub’s hold their value spectacularly well (although some critics consider it to be the most overpriced watch in existence). In the past decade, vintage Sub’s have also become highly collectible.